State Rep. Lucy Dathan (D-142) on Tuesday announced “an emergency food drive to help boost Person-to-Person’s food supply to help alleviate local federal workers and their families affected by the ongoing government shutdown,” according to a press release. State Senate Majority Leader Bob Duff (D-25), the City of Norwalk, the SoNo Branch Public Library, the Norwalk Public Library and Person-to-Person are joining in the effort to help coordinate collections, which will be dispersed by Person-to-Person’s food pantry program, according to the release. “State Senate Majority Leader Bob Duff (D-Norwalk) and the Connecticut State Senate voted today on an overwhelming and bipartisan basis to financially help the estimated 1,500 federal employees who live and work in Connecticut but who have been furloughed without pay due to President Donald Trump’s ongoing federal government shutdown,” according to a Tuesday press release. 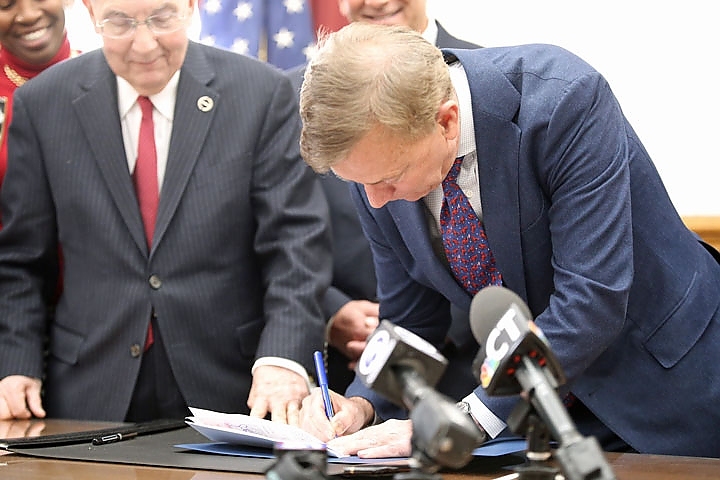 House Bill 5765 passed 32-1 and “was sponsored by all six legislative leaders from both the Democratic and Republican caucuses” after being “crafted with the input and endorsement of Governor Ned Lamont and the Connecticut Bankers Association,” the release states. Sen. Rob Sampson (R-Wolcott) voted against it, the House passed the measure 127-15 and Lamont promptly signed it, according to a report by CTNewsJunkie. The bill became effective immediately and “affects approximately 1,500 federal furloughed employees, non-furloughed employees, and furloughed employees who have been called back to work,” the release states. “The new program calls for the Connecticut Housing Finance Authority (CHFA) to guarantees loans to eligible employees from private banks. The loans are equal to $5,000 or the regular monthly take-home pay of an employee (whichever is lower), minus any unemployment the employee may be receiving. “Eligible employees may receive up to three loans, one for each 30 day period of the shutdown. Loans are interest-free for 270 days after the shutdown, and the loans must be repaid within 270 days of the end of the federal shutdown in three to six installment payments. “The State of Connecticut is guaranteeing just 10% of the aggregate amount loaned. 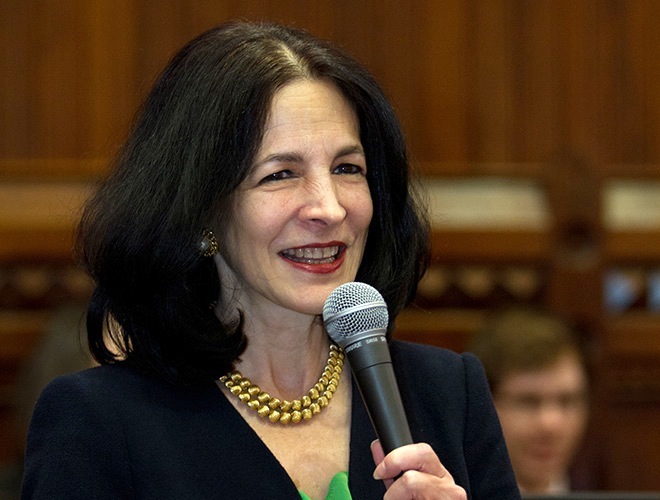 State Rep. Gail Lavielle (R-143) has been appointed as Ranking Member of the General Assembly’s joint Appropriations Committee, according to a press release. Lavielle, an Assistant Minority Leader now serving her fifth term as District 143 State Representative, previously served for three terms on the Appropriations Committee, where she was Ranking Member of the Transportation Subcommittee, the release states. Lavielle will continue to serve on the Education and Transportation Committees. “She also has experience in leadership of a large, prominent committee, having served for two terms as Ranking Member of the Education Committee. As a member of the Finance, Revenue, and Bonding Committee, she has worked on the revenue side of the state budget as well,” the release states. The General Assembly is at work in a “five-month session that will end at midnight on June 5. In odd-numbered years, legislators must vote on a biennial state budget, which they must pass before they adjourn,” according to the release. Congratulations to Gail on her new position! 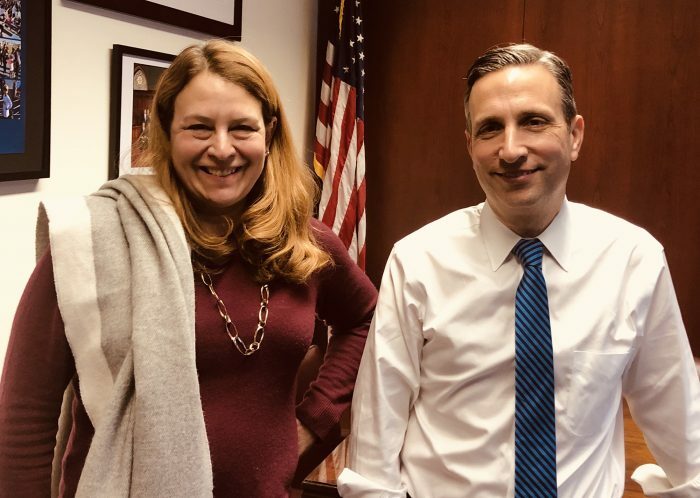 I for one have always appreciated her common sense approach to government and how hard she works not only for her constituents but for the people of Norwalk and Connecticut. One pay period has been missed and the Senator is full on in campaign mode. Once again, our Senator demonstrates his clear lack of understanding of job responsibilities. Congress is responsible for crafting budgets that the Senate and then the Executive can pass. Mr. Duff likes to grandstand against Trump, but the reality is the Speaker of the House has been everywhere on the planet besides DC during the shutdown. How is she getting a budget together when she isn’t even on the job? 10 days in Hawaii, junkets in PR, and a 2 week one that was defunded. It is a good idea to have credit facilities in place for government workers in positions of national security. I’d like to see the real numbers of high security personnel living paycheck to paycheck. That is clearly a serious problem. We can’t have people in positions where they could be financially swayed against the country’s best interests. This is a big red flag. We should have a national program that gives a zero percent credit facility for three months, secured by back wages when there is a future budget impasse. WAY TO GO GAIL!! Once again our proven fighter for Norwalk continues to work extremely hard and move up the leadership positions. I am so honored to have her represent Norwalk and be our strong voice in Hartford! No fights harder the.n Gail and she truthfully our best and brightest up there! Keep up the AMAZING things you do for us Gail! WE SUPOORT YOU 1000%!!!! On behalf of the Norwalk Republican Town Committee, we would like to congratulate State Representative Gail Lavielle on her appointment as Ranking Member of the Appropriations Committee. This appointment is a testament to the respect Gail as garnered from her caucus. Gail’s reasoned voice, work ethics, experience with both the transportation and education committees, and most importantly her dedication to representing her constituents’ long-term interests and values, will make her an invaluable asset in the difficult task of crafting a State biennial budget that addresses our State’s long-term financial issues while preserving the services and resources needed by our residents and communities.